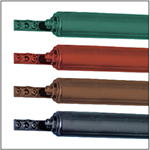 ProVia color-matched dual closers work smoothly, match the color of your door perfectly. Give your door a unified look with these closers. Spectrum Storm Door's 1 1/2” brass-look bottom expander gives your door an added touch of shine and comes standard on all Spectrum doors. Spectrum Storm Door's Classic Piano Hinge has the shine of Bright Brass that enhances the overall appearance of your door. 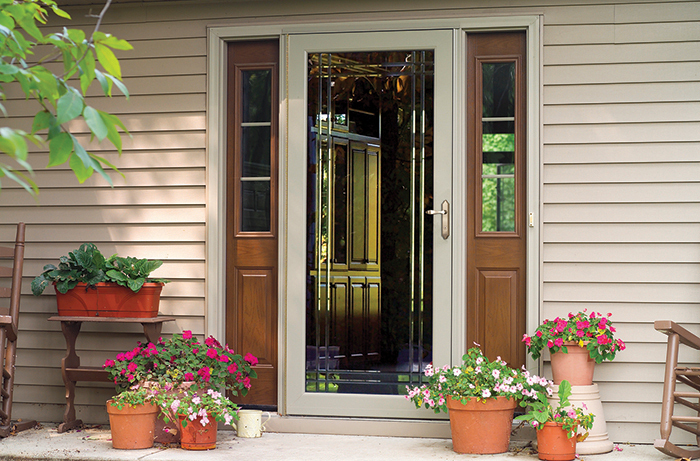 ProVia's color-matched bottom expanders complement the color of any Decorator Storm Door frame, giving it a cohesive look. 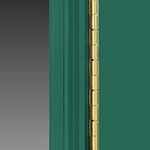 Some Storm Doors come standard with color-matched leaf hinges with brass bushings. 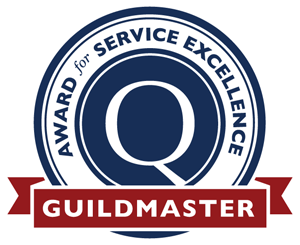 Deluxe Storm Doors’ double seal bottom sweep allows adjustment for a snug fit. 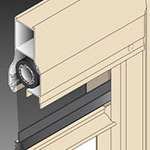 Changing out your storm door screens for glass isn’t a hassle with our InVent Retractable Screen System. Spectrum Screens are stored right inside the frame. Medium 8 1⁄8" x 11 3⁄4" opening for pets up to 40 lbs. 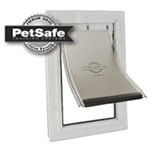 Large 10 1⁄8" x 15 3⁄4" opening for pets up to 100 lbs.